Right, let me start with two confessions I need to make and upon these you can decide whether you’d like to read what I have to say or not. Firstly, my beginnings are in digital. I’m guilty of HDR, saturating to hell and other, horrible things. But I guess this is exactly the reason why I spent so much time in recent months shooting exclusively in monochrome. From one extreme to another. Somehow, without loving the cheesy and poor images at the beginning, I would never get to the other end of the spectrum (as stated here in Film Photography and the Revival of the Imperfect, HP5 pushed to 1600 at 1/8th sec handheld images). 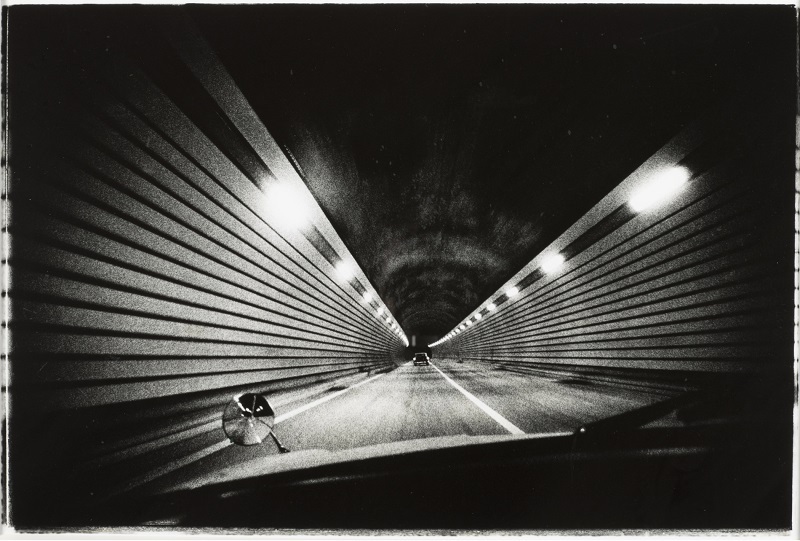 Lack of colour, lack of any clarity or sharpness, lack of technical excellence, yet so much emotion, like this image by Daido Moriyama for example. That’s where my second confession comes. I’ve been photographing in black and white almost religiously lately and I am a huge advocate of monochrome for many different reasons. 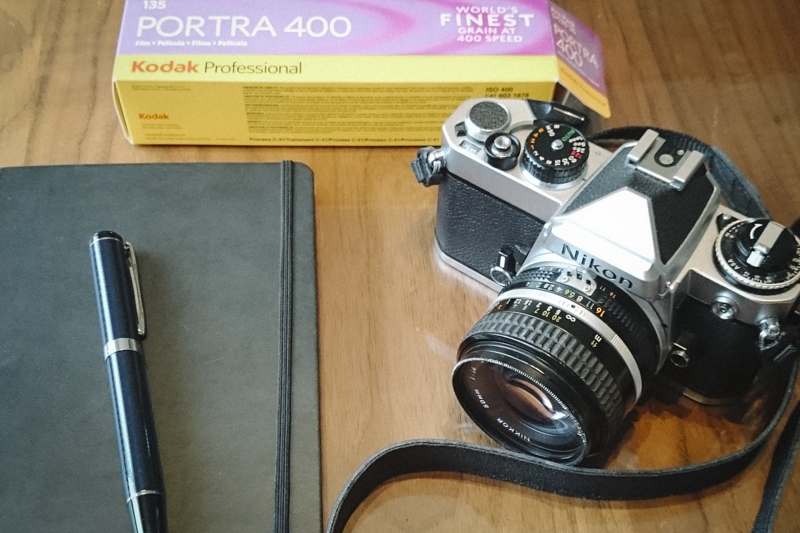 However, I’ve recently cheated and loaded my almost 40 years old Nikon with a roll of Portra 400. I fell. In. Love. Enza village floods with school children around 4PM every day. 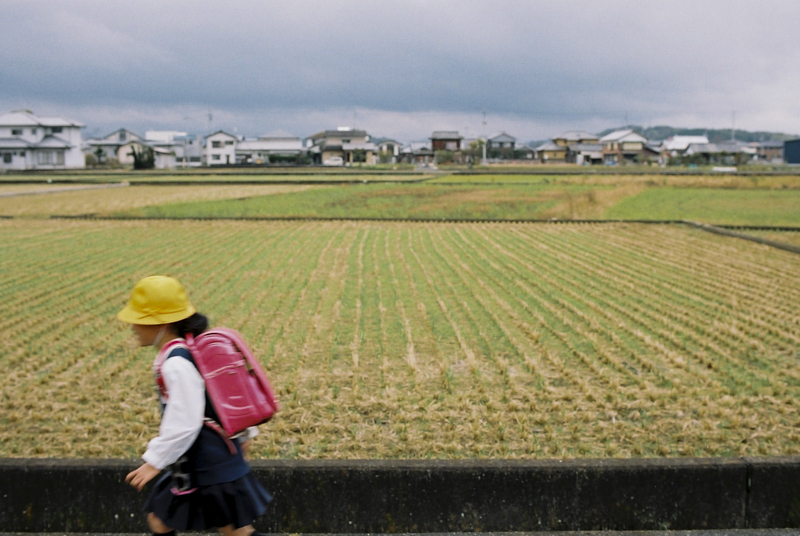 The yellow hats and red rucksacks just want to be photographed. I was always of the opinion that loading a camera with a new roll of film is like the beginning of a new chapter in a book. Part of the mystery solved, new clues, new turn of events, new start so to speak. Well, loading a roll of Portra after numerous monochrome emulsions over the past months felt like a completely new book. Change of scenery, characters, period of time and even change of the genre altogether. Like after Stephen King’s oeuvre I suddenly found myself reading a Tolkien novel. It’s new, it’s refreshing, it’s exciting. In certain ways, colour is nothing more than simply a compositional tool, not much different from your rule of thirds or diagonal lines. Despite this, it seems to me that when you get into the colour mindset after plenty of time spent with monochromes, it simply becomes a subject in itself and it somehow makes colour photography that much more purposeful. It is certainly more difficult to break away from the documentary side of photography and venture into abstract or fine art than black and white (at least to me it is). My take on abstract in colour. 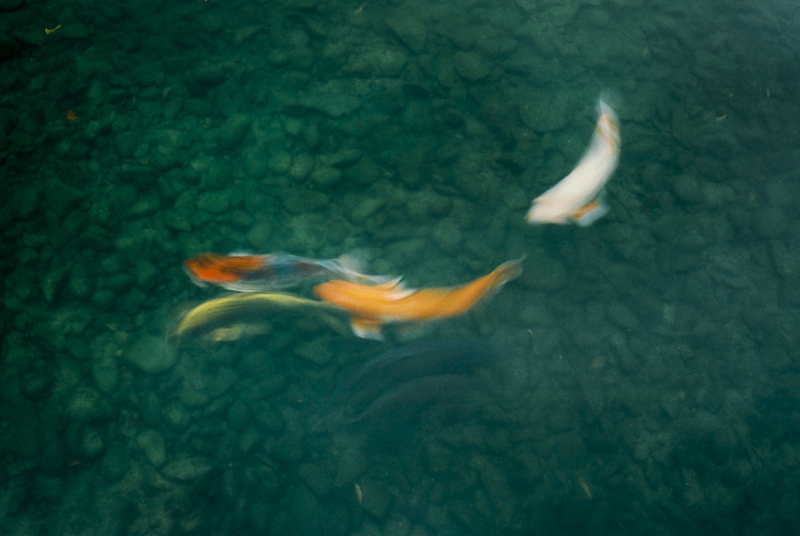 Carps (“koi” in Japanese) are distinguished additions to any Japanese pond. I am a huge advocate for black and white and, saying that, I believe that digital cannot match the final results to film. When it comes to colour, well, that is even more the case. The saturation, hues and the colour palette is just that little step ahead, even the results from a one hour photo lab. I’m afraid that the scans shown here will not demonstrate what I am trying to convey as to appreciate the things I’ve mentioned you should really be looking at prints. I am aware that digital is convenient, and gives better (sharper, cleaner or whatever better means in current climate of obsession with quality) and faster results, results being the key word here. But photography should not be about the final results, it should be more about the process of getting there, in which film is the winding B road, challenging and extremely exciting, whereas digital is the fast but boring motorway, designed only to get you from A to B. Anyway, I’m back with Tri-X in my beater Nikon. It somehow feels “back at home” and it certainly suits the gloomy London, where I find myself at the moment, at least for now. This entry was posted in Film photography, Philosophy of Photography and tagged ditchitall.com on November 27, 2015 by Leicaphila.